Located just north of the Mexican border, San Diego, California plays a critical role in trade not only for the United States, but for the entire continent. Including suburbs in both countries, the city anchors a metropolitan area of nearly 5 million people. To provide this population with jobs and wealth, the region has attracted a host of advanced industries, ranging from technological development to defense to automotive retail to tourism. ExpeditedFreight.com specializes in supplying each of these industries and all others like them, keeping San Diego and the entire region thriving. ExpeditedFreight.com pays attention to all the shipping needs of the San Diego area, responding to each new development quickly and effectively. We are particularly alert to the region’s desire for shipments that are both safe and speedy. When you consider the many sources of wealth and investment in the area, it becomes clear that such shipping is essential for local growth. 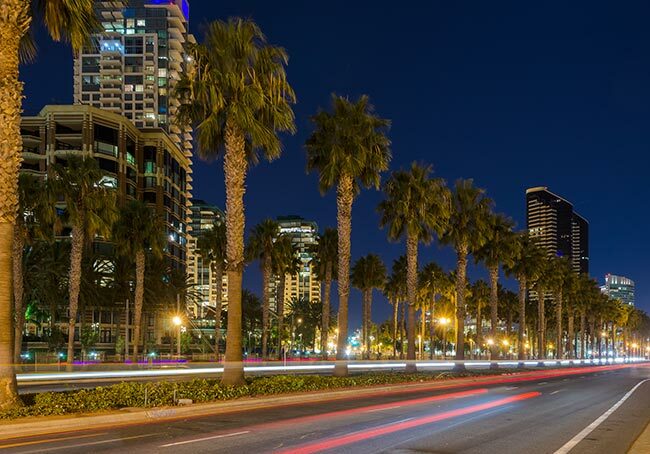 Consider the San Diego International Auto Showx, which features some of the most advanced cars in the world. To participate in the show and sell featured cars afterward, automakers and retailers must bring in the supplies needed to keep these cars running smoothly. Such supplies are highly delicate and often have to be shipped over great distances, making both speed and safety essential. ExpeditedFreight.com responds to this need by regularly raising standards of speed and safety. 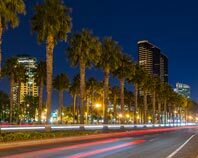 Operating across the San Diego metropolitan area, we provide these services in San Diego proper, San Marcos, El Cajon, La Mesa, Chula Vista, Carlsbad, and Vista. We plan careful routes into and out of each of these locations, finding a path that is short, safe, and subject to few traffic or weather issues. In this way, we avoid every source of delay while keeping our vehicles off bumpy and dangerous roads. This way, we can monitor your order while it is on the road, looking ahead to see if any new obstacles have arisen. If they have, we contact the driver and let them know to steer clear, keeping our trucks on track to meet their deadlines. We also put two drivers behind the wheel of each vehicle, requiring them to switch between rest and work. As a result, they will be alert enough to respond to new instructions and do their jobs safely. Besides dedicating two drivers per vehicle, we dedicate a vehicle to your order alone, matching the payload capacity of the vehicle to the total volume of your items. This further speeds up orders, as we won’t have to visit other clients before we get to you, and it increases safety by letting us load advanced storage devices. If anything goes wrong with this vehicle, we can dispatch another one from any of our countless coverage spots across the United States and Canada. ExpeditedFreight.com is happy to offer you free estimates on future orders, as well as answers on current ones. For this and other information, contact us today at (619) 202-4600.